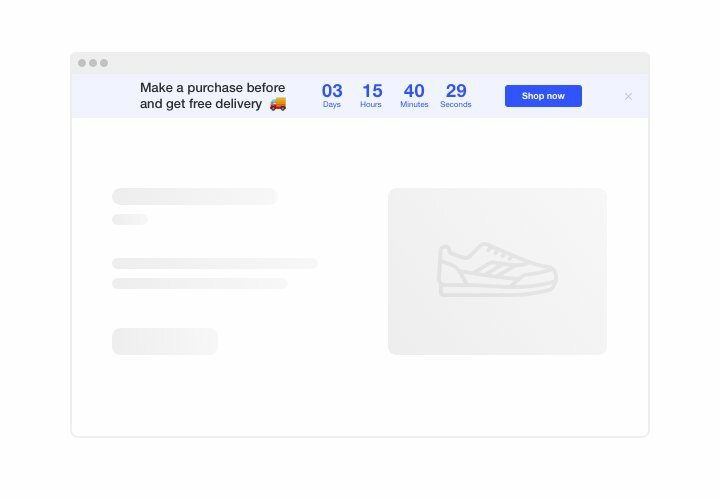 Use Elfsight Countdown Timer to shape varied kinds of counts and timers that will push users to buy faster and more actively. Stock or sales count will set a feeling of limited availability and competition; sale countdown will speed up clients to buy right now not to miss out a profitable offer. An individual countdown will stimulate each customer to use a personal offer quicker; holiday bars with nice theme style will attract attention to your sales. Raise your website sales with the help of urgency-driving timers and counts. Encourage clients to purchase by building a feeling of urgency. 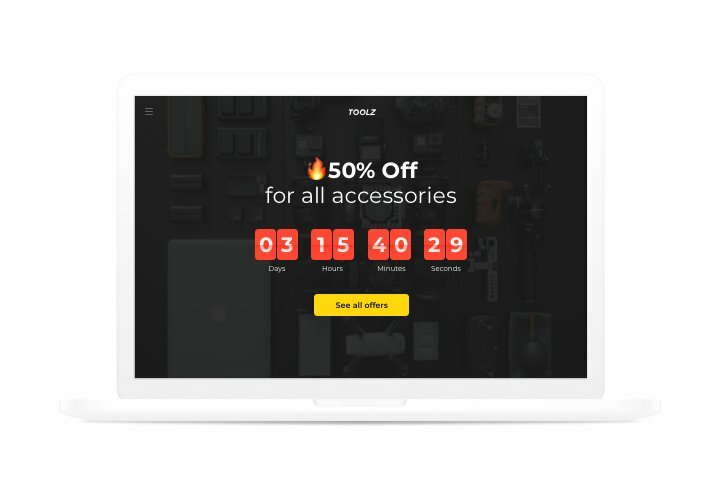 Demonstrate countdown timers that will show time left to the end of your sales and special offers. They will create a feeling of urgency and encourage customers to make a positive decision quicker. Demonstrate the stock of available items is decreasing in order to raise their perceived value. 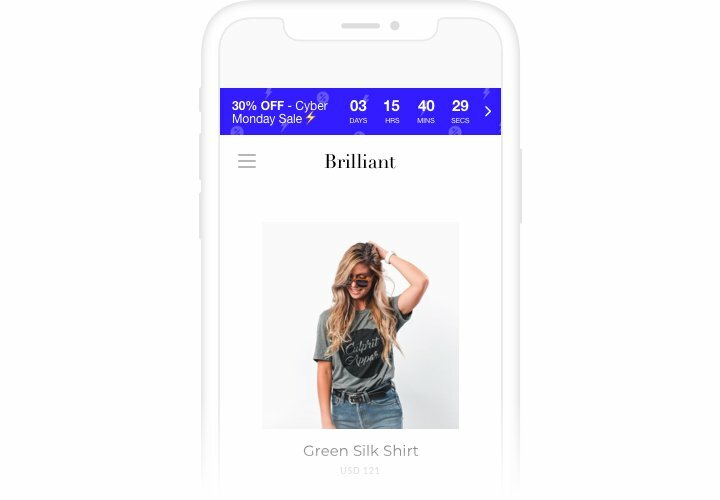 Create a feeling of competition for your offers by showing the number of sales is raising and the stock is going down. 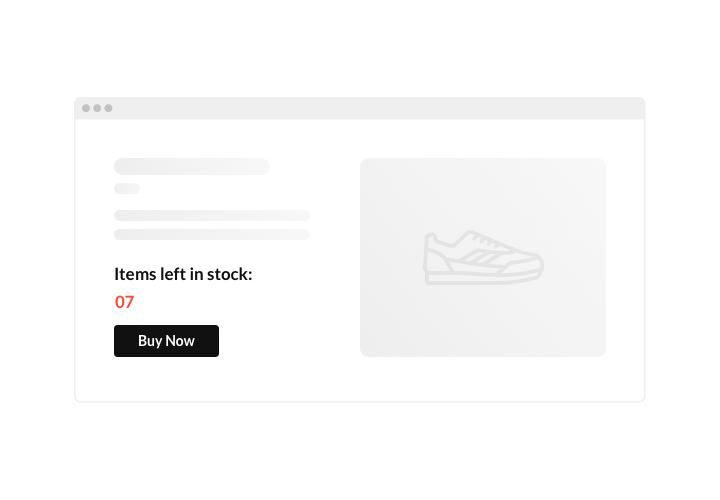 Limited availability will make your items seem more valuable and visitors will want to buy them. 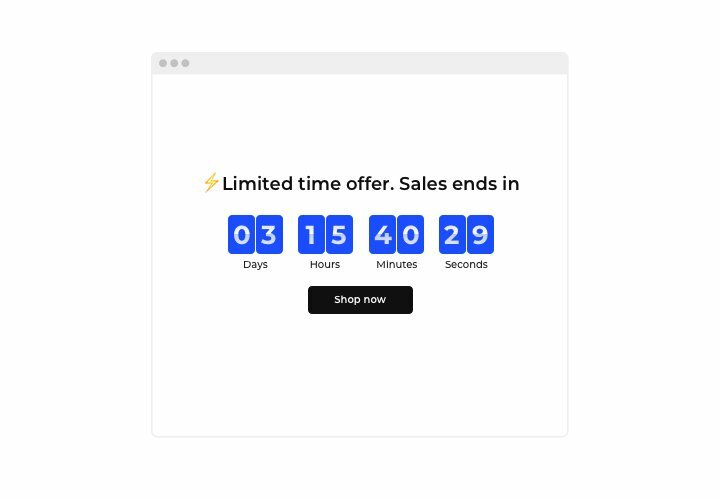 Draw more attention to your sales with a bright holiday-style countdown bar. 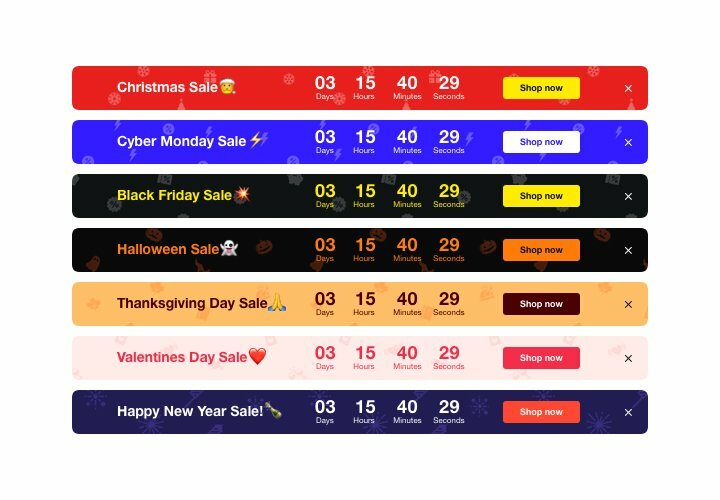 With eye-catching theme bars, you can demonstrate your seasonal sales in a lively way. Use festival time to uplift sales on your website. A quick tutorial on setup of the buttons without experience in development or searching for a programmer. Installation time is only about 2 minutes. Get the widget with the help of «ADD» button on the page with Countdown Timer in Weebly App Center. Place Countdown Timer on the site. Go to the administrator panel of your Weebly website, and insert the widget into the page. Click the widget icon to customize it and add required data. Apply all the edits. Visit your Weebly site, to check your Countdown Timer! Didn’t manage to add the plugin on a site? Send your question to our help team. Install a Countdown Timer on your website just in 70 sec!